Since the weekend report, we are seeing what was expected out of the General Markets & Oil, so I am going to get right to a few other areas first, and then I will have a couple of Stock Picks to consider. 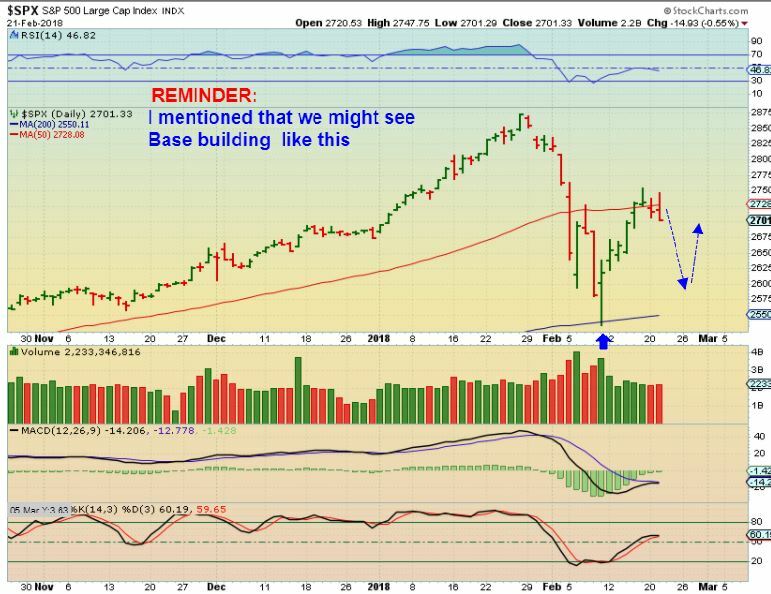 With recent market volatility and a potential V-Type Bottom in place in the General Markets, I wanted to review the current markets, but along with that, I will also have a separate 'lesson' at the end of the report. 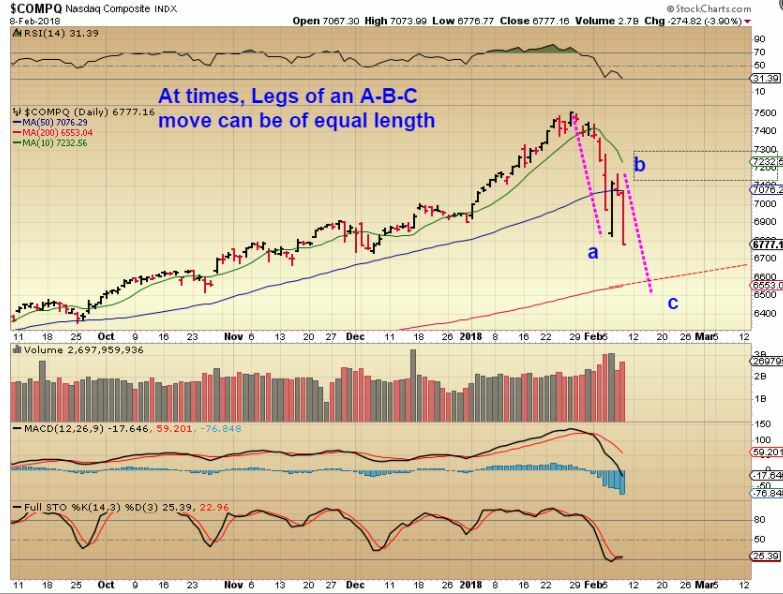 It will address why it is a set up to play long out of those lows, but it is also prudent to proceed with caution. Why use the trailing stop? SPX DAILY - Day 9 and the SPX closed above the 50 sma Friday. 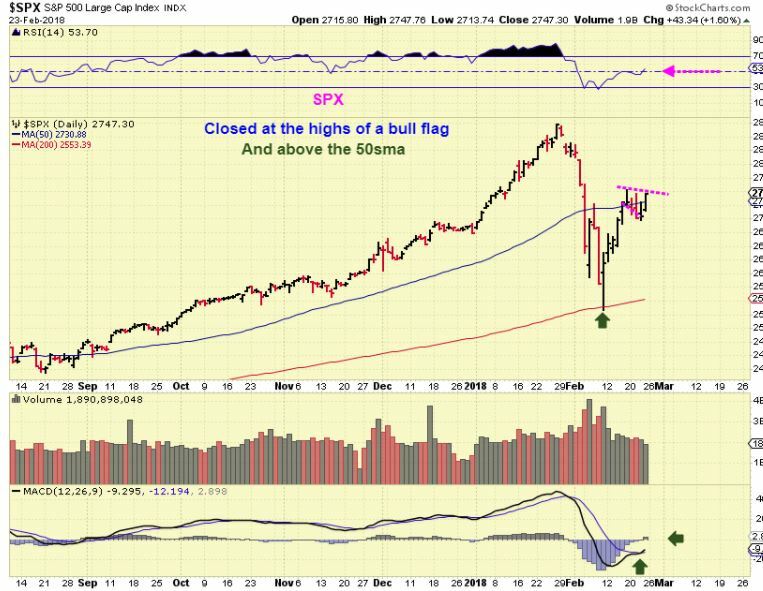 Many here bought this reversal off of the 200sma when it was mentioned 2 weeks ago, and after stalling for a week in a bull flag, it looks like it may give additional follow through next week. 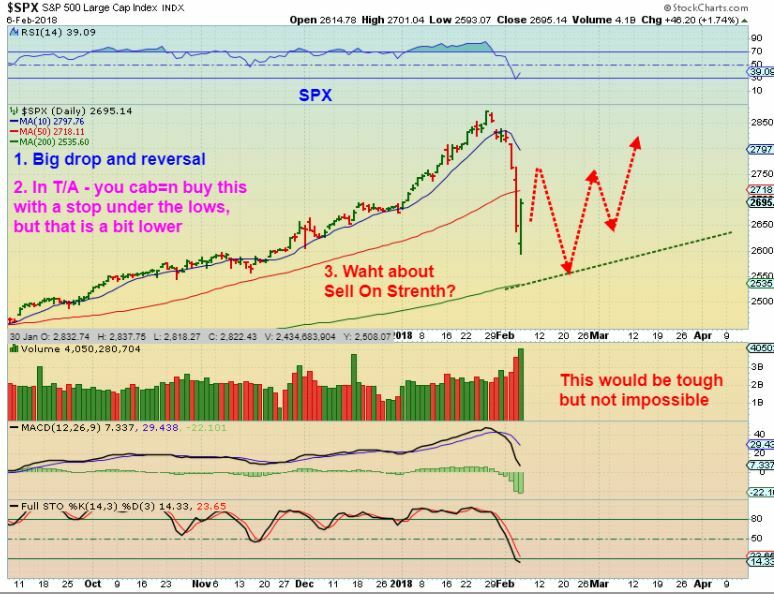 SPX REVIEW AGAIN - Feb 6th I pointed out that Markets may drop a-b-c style to the 200 sma, and then flounder around trying to form a base. 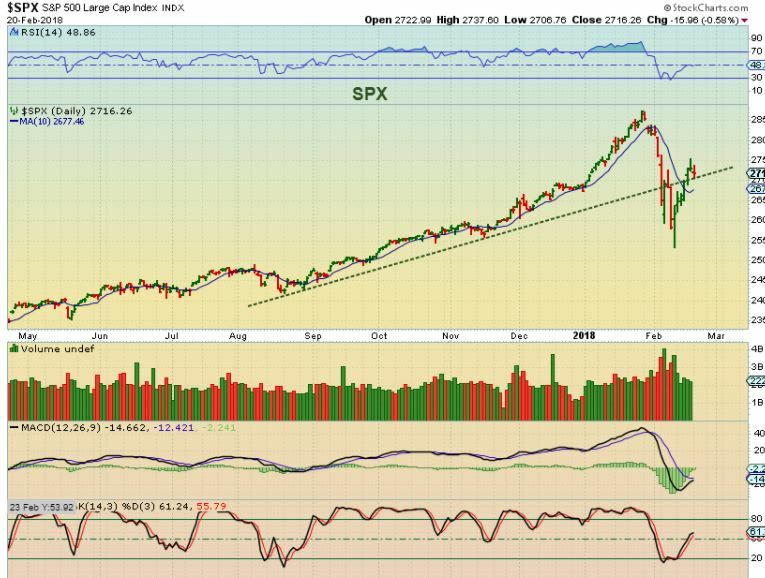 SPX - So far, the above pattern is playing out. Drop to the 200sma and now we wait and see. Today is the release of the Fed minutes. 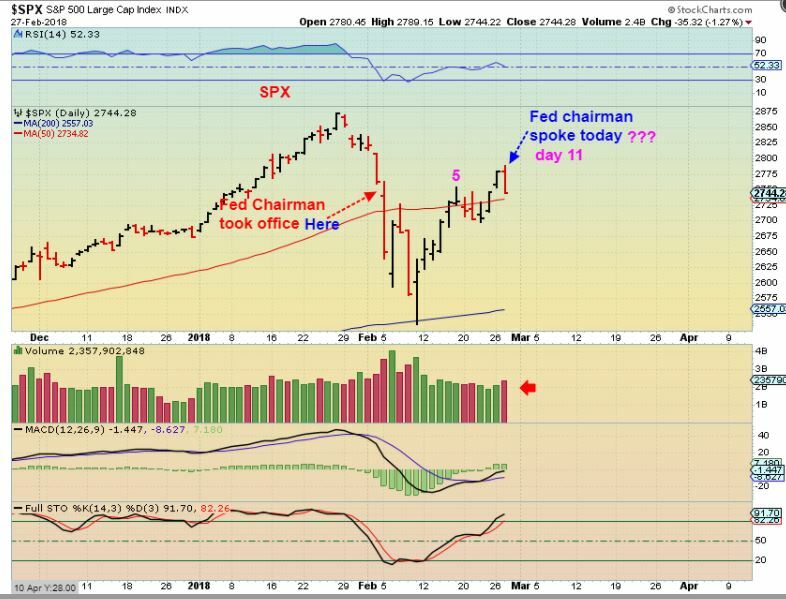 At times we get the same reaction that we saw when the Fed Decision was released, and other times we get the opposite, so that is todays question...what will todays Fed Minutes bring? It shouldn't be as bad as THAT guy thinks, but it is worth paying attention if you are rather heavily invested. SPX - The markets pulled back a bit on Tuesday, but after that strong 6 day blast higher, the pull back was minimal.